Explanation behind the reappearance of Eobard Thawne during Crisis on Earth X? Eobard Thawne's sudden appearance surprises me a lot, he dies, and then again reappears. But what's the specific explanation of him showing up during the Crisis on Earth X crossover? I remember him indirectly referring, being the Reverse Flash of Earth 1 during the crossover, but what the heck is he doing on Earth X? And why's Tom Cavanagh playing Matt Letscher's role? 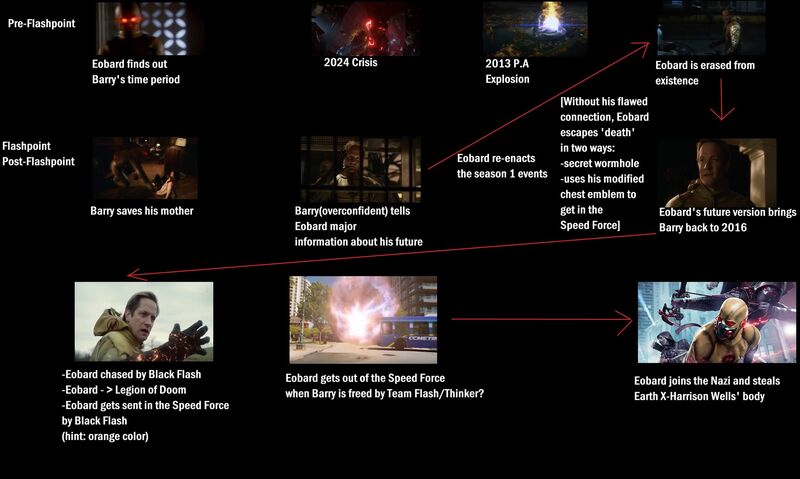 The Flashpoint timeline can still be accessed by those with dimensional awareness even though this timeline was reset by Eobard. This was shown when Cisco vibed into Flashpoint to determine Clive Yorkin's next victim. The victim was thought to resemble a cop in Flashpoint. Joe West and Iris West became estranged for a time due to the revelation of her mother being alive. S.T.A.R. Labs now has a speed lab where speedsters can train. The members of Team Flash now have "panic buttons" installed on their phones. John Diggle doesn't have a daughter anymore, but a son instead. In addition to the gender difference, Diggle's child was also born a month later in the new timeline. Julian Albert started working at the CCPD as a CSI in late 2015. He also inadvertently released Savitar several years prior, and unknowingly became Alchemy as a result. The future has changed, one specific change being Iris getting killed by Savitar in the future before the year 2024, with the future newspaper article instead being written by Julie Greer. Ralph Dibny, who previously was one of the fourteen people who lost their lives in the particle accelerator explosion, is now alive. Alchemy is able to restore the superhuman abilities of seven meta-humans who only had powers in the Flashpoint timeline: The Rival, Magenta, Shade, Clive Yorkin, Wally West, and two other unidentified people. The Dominators launch an invasion of Earth, as they are alerted to Barry's time traveling and seek to prevent Earth's meta-humans from doing further damage to the universe. 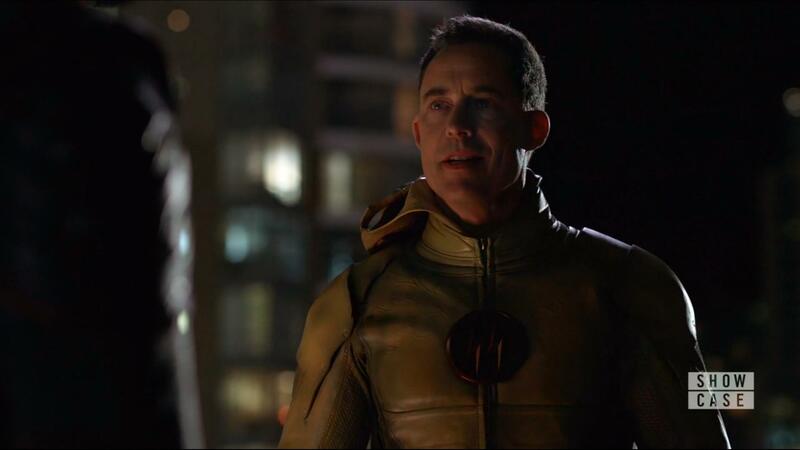 The time remnant of Eobard Thawne (with memories of his 'future' as Harrison Wells) escapes to the present. He finds himself pursued by the Speed Force's ultimate enforcer, forcing him to stay for temporary amounts of time whenever he time travels. He attempts to further alter the timeline to change his fate, eventually leading to the creation of the Legion of Doom. Major spoilers for everyone, dear people. This will decently explain the whole mess on the Flash-LoT. Flashpoint Eobard becomes Wellsobard (without flawed Speed Force connection); when Eddie kills himself Eobard avoids erasure and goes in the Speed Force. He goes to 2000 and brings Barry back to 2016. Then Eobard goes to LoT; he is sent in the Speed Force by Black Flash. He escapes when Barry escapes from the Speed Force and appears on the Earth X crossover. Explanation for character actions in Arrow S03E17?